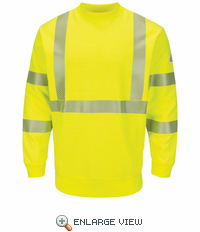 Fabric: Flame-resistant, 10.5 oz. 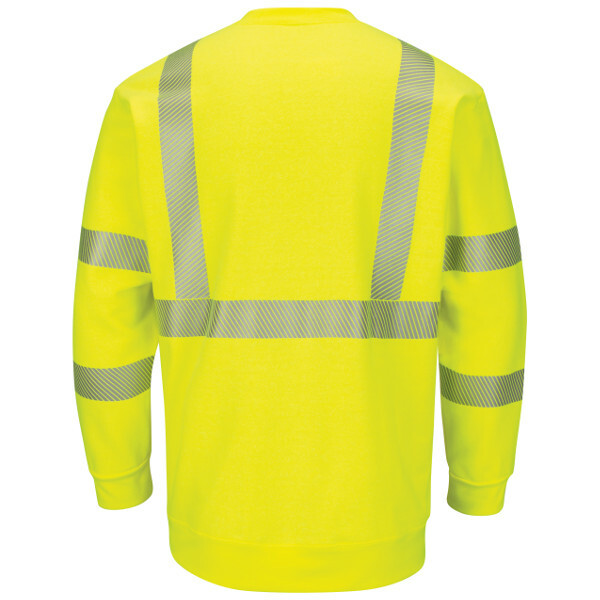 (355 g/m²) 67% Modacrylic / 29% Cotton / 4% Polyester. 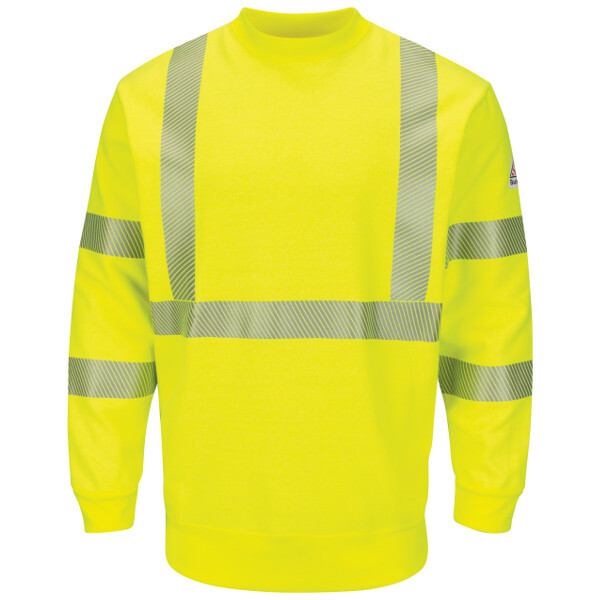 360 visibility with front and back 2" flame resistant heat seal silver reflective striping › Rib knit cuff and waistband › Pencil stall pocket on sleeve. Protection: CAT 2 Arc Rating ATPV 20 calories/cm². ANSI 107-2010 Class 3, Level 2.